One Fold at a Time. Our Search for the Simple Life. This winter Jennie and I went camping in Death Valley National Park, opting out of what has turned out to be a very rough year around the world. Our goal was both to sidestep the Christmas consumer-fest as well as detox from social media and our devices. And what better way to escape the madness than by packing up for the wilderness? What are the best times in the year to visit? Some people visit during spring for the rare and magical super blooms. However, we recommend late autumn and winter before the Christmas and New Year season for those seeking solitude. Camping gear and enough food and utensils for three meals a day. Lots of water (a gallon per person per day). Warm clothing and thermal sleeping bags are a must. Overnight temperatures can drop to the mid-30s (0 degrees Celsius). For a complete list, check out our list of Death Valley camping essentials. Where should I stay in Death Valley? We recommend the Furnace Creek Campground ($22 per night, reserve online in advance). It’s centrally located and the grounds are surprisingly well maintained with clean bathroom facilities and drinkable water. Plus, the Furnace Creek Visitor Center is right next door. How do I use this guide? Note: All currencies below are in USD. Depart Los Angeles before seven to avoid traffic. All gear and food should be packed and ready the night before. Drive east. Take Highway 15 north past San Bernadino to Baker, California (3 hours). Lunch at Baker. We recommend Los Dos Toritos ($10-20 for two), a cheap and popular spot for the Vegas bound crowd. Baker is also the last place for cheap gas before you head into the park, so be sure to fill up. Their carne asada tacos were amazing. Drive north until you reach the town of Shoshone (1 hour). Take Route 178 (instead of 127) into the park. Make stopovers at Badwater Basin (the salt flats and the lowest point in North America) and Devils Golf Course. Stop by the Furnace Creek Visitor’s Center to pay the park entrance free ($20) and get the latest update from the rangers on park conditions. Pro Tip: If you visit national parks often, buy the America the Beautiful Annual Pass ($80). We had it, which covered the $20 entrance fee. Arrive at Furnace Creek Campground. Unpack and set up your tent. Head over to Dante’s View (30 minute drive) to watch the sunset . One of the rangers told us it was the best view of the park. Back to the campsite. Dinner and relax by the open fire beneath the stars. Do not miss the stars while in Death Valley. Rise early. Fix a simple breakfast and pack a lunch to go. Drive north to Ubehebe Crater (1 hour). We recommend taking the two mile hike around the crater to get the best view. There’s also a trail that takes you down to the bottom of the 500 ft crater, but you’ll have to pay for this experience on the hike back up. 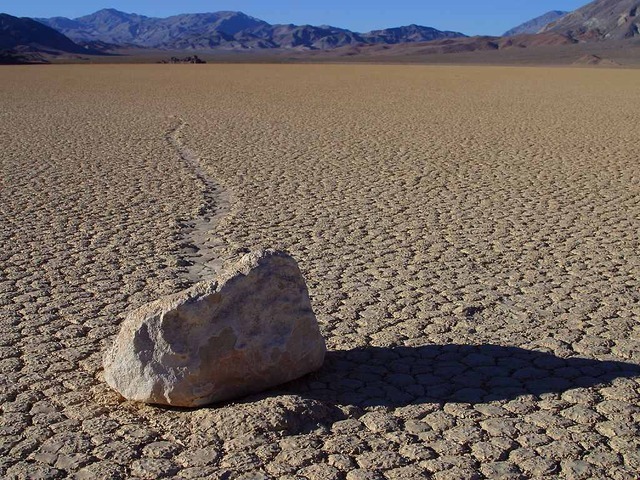 Optional: If you’re driving an SUV or a 4x4, you have the option of taking an offroad adventure down to the Racetrack Playa to see the famous sliding rocks. Located 25 miles south of Ubehebe Crater. After lunch, make your way south to Titus Canyon. In our opinion, the Titus Canyon trail itself is nothing special and is meant more for offroad vehicles than hikers (it’s also 27 miles long). Instead, we recommend the adjacent Fall Canyon trail for an easy to moderate hike (6 miles roundtrip). The trail is lightly trafficked and if you’re lucky, you might see some bighorn sheep or mountain goats up on the canyon! Arrive at the Mesquite Sand Dunes by “magic hour” (i.e. sunset) for the best photos. We recommend climbing up the tallest peaks on the northeast corner for unspoiled surfaces. Rise early. Pack up your campsite and drive down to Golden Canyon. Park your car in the lot and hike the Gower Gulch Loop (7 miles roundtrip). We recommend taking the northern route (the Badlands trail) on the way to Zabriskie’s Point and the southern trail (Gower Gulch) on the way back. The variety of colors, landscapes and perspectives we saw made this our favorite hike of the trip! It’s time to leave Death Valley. Take Route 190 out the west entrance of the park and make your way towards the town of Lone Pine (2 hours). Stop occasionally to check out sites like the Sierra Nevadas and Owen’s Valley (the dry lake). Grab lunch to go at The Grill ($25-30 for two), which serves traditional American diner fare. 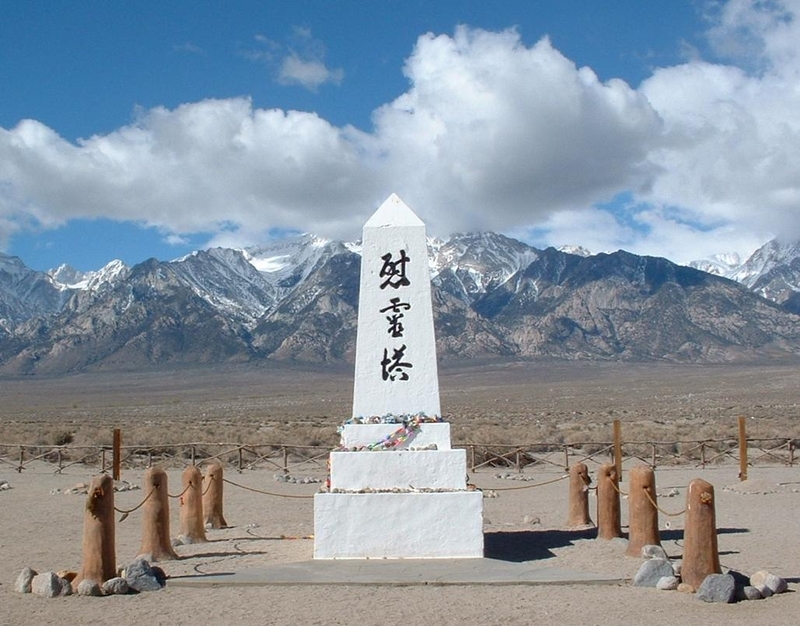 Drive 16 miles north from Lone Pine until you reach Manzanar National Historic Site (free, hours from 9:00-4:30), a former internment camp which housed 10,000 Japanese Americans during WWII. A lot of the buildings have either been rebuilt or preserved so that visitors get to see the conditions that the detainees lived in. It’s a sobering reminder of how quickly we’re willing to trade in our rights for a small measure of security. There’s a lesson here about our attitude towards Syrian refugees, but sadly I doubt we're paying much attention. Make the long drive home (4 hours). After this trip, we’ve learned to be grateful for the simple things, like a hot shower and a warm bed.